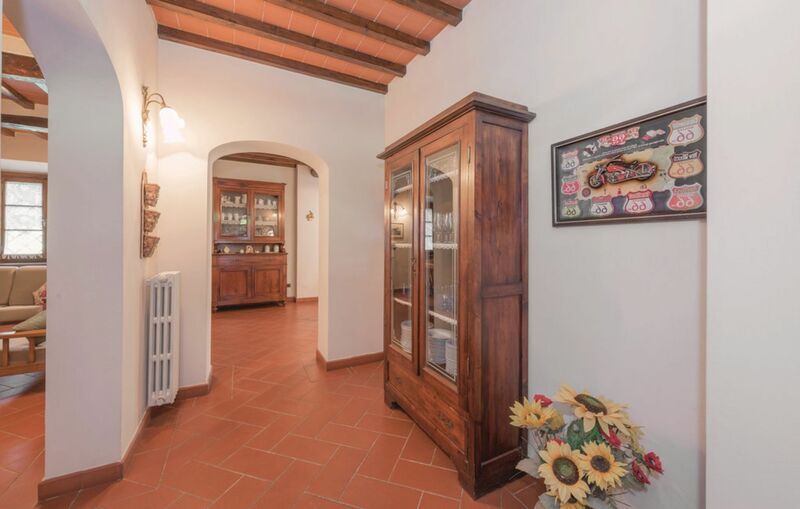 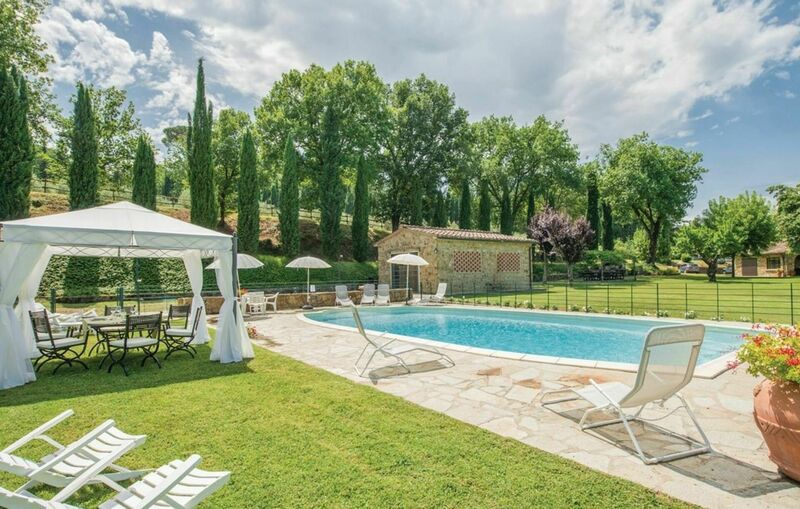 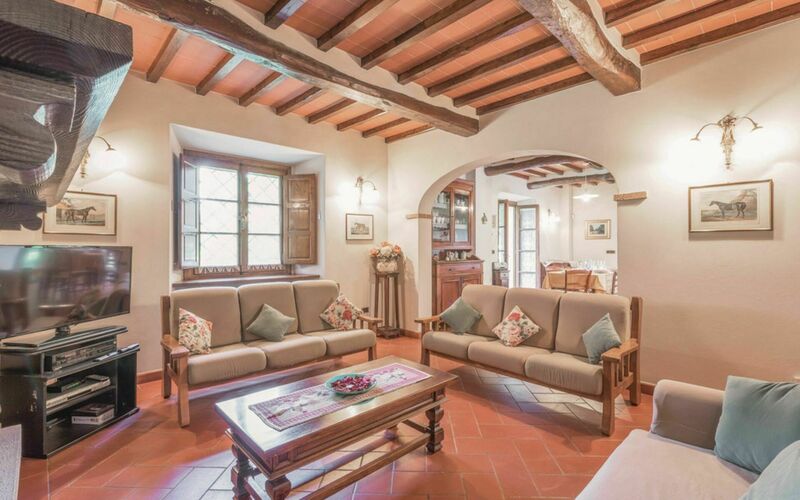 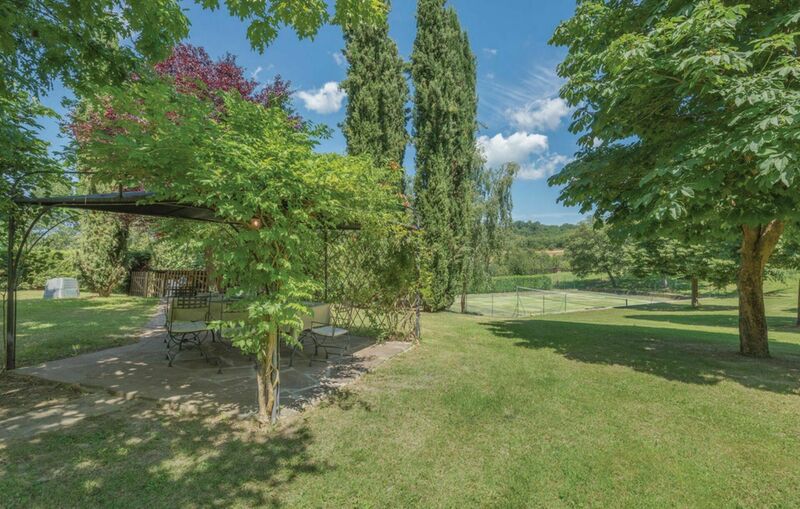 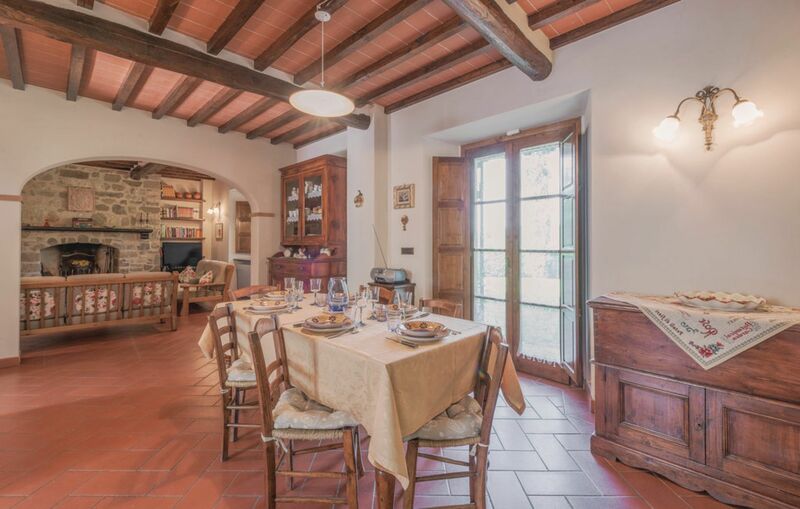 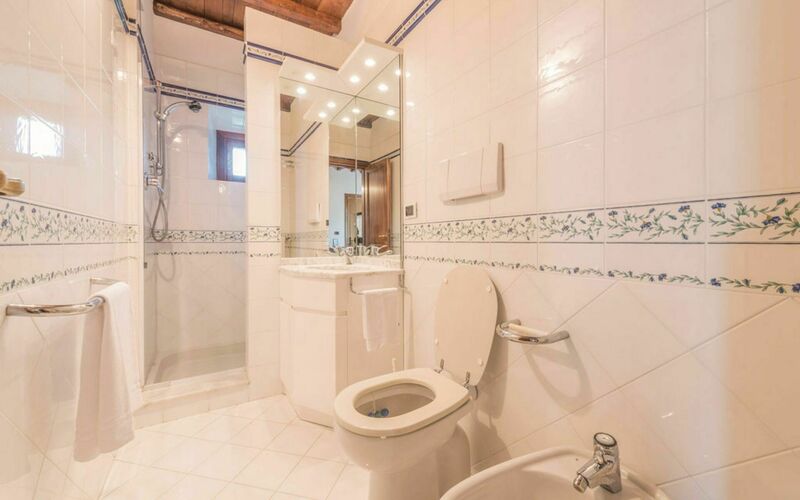 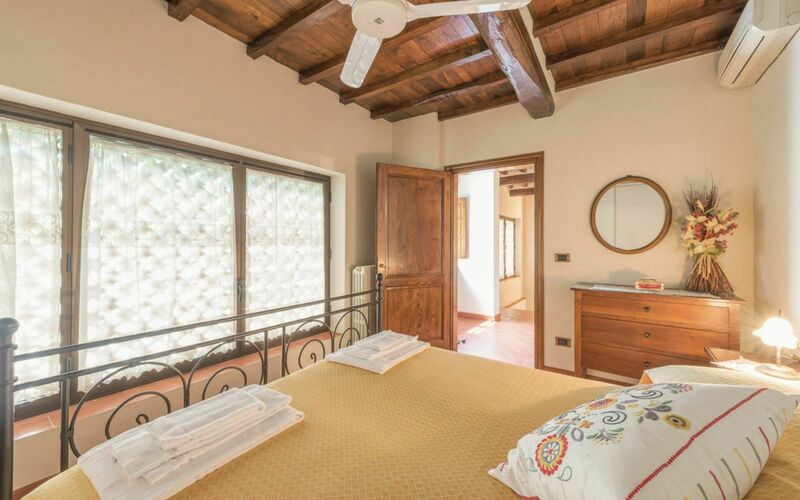 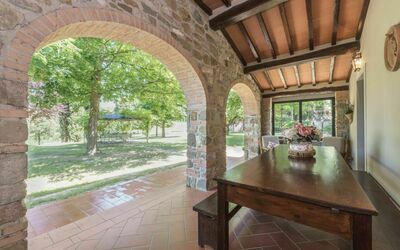 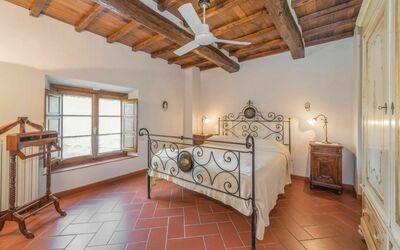 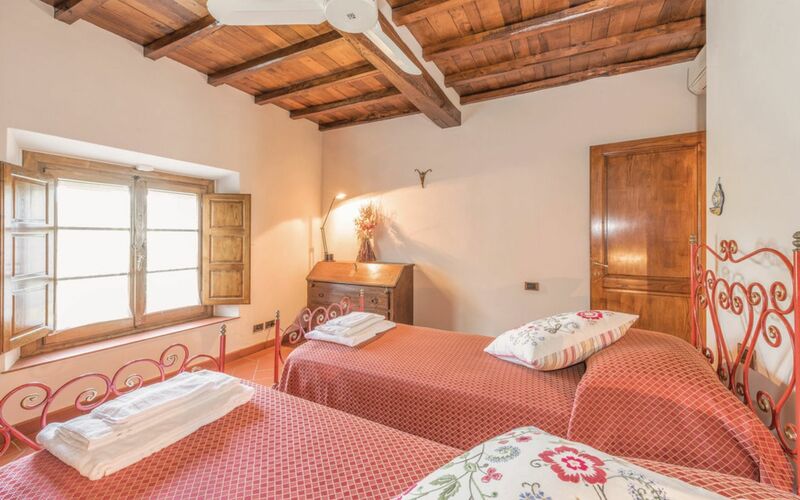 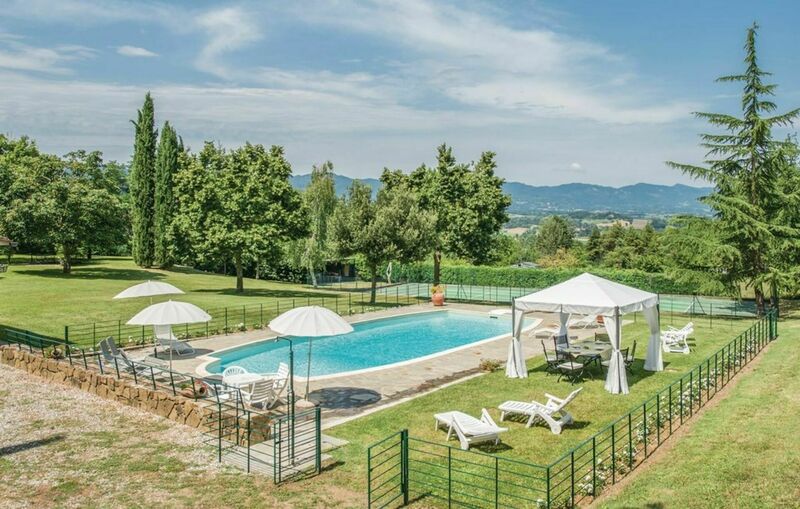 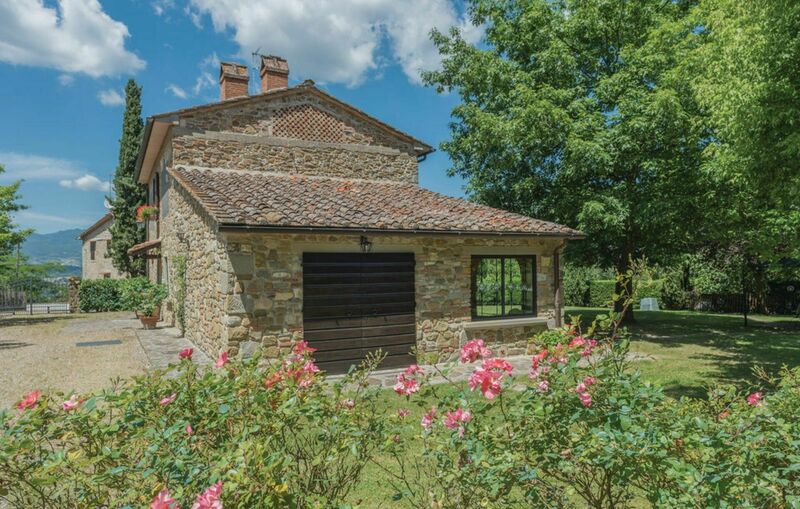 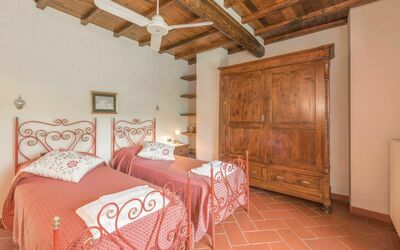 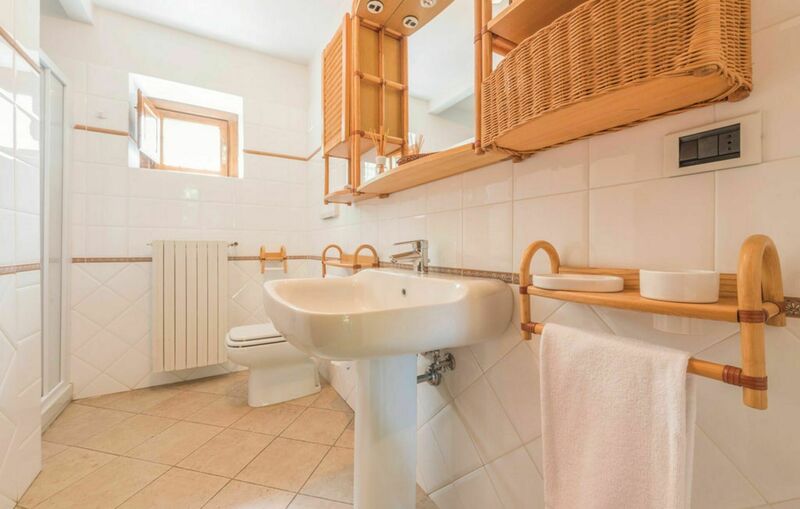 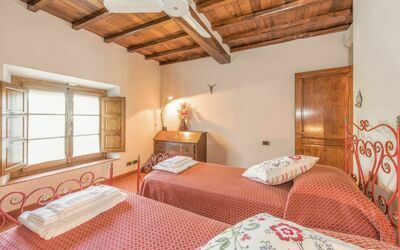 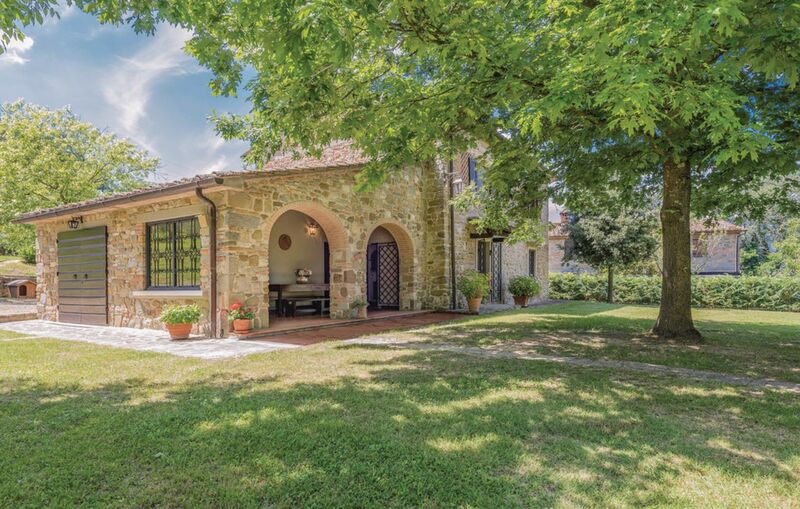 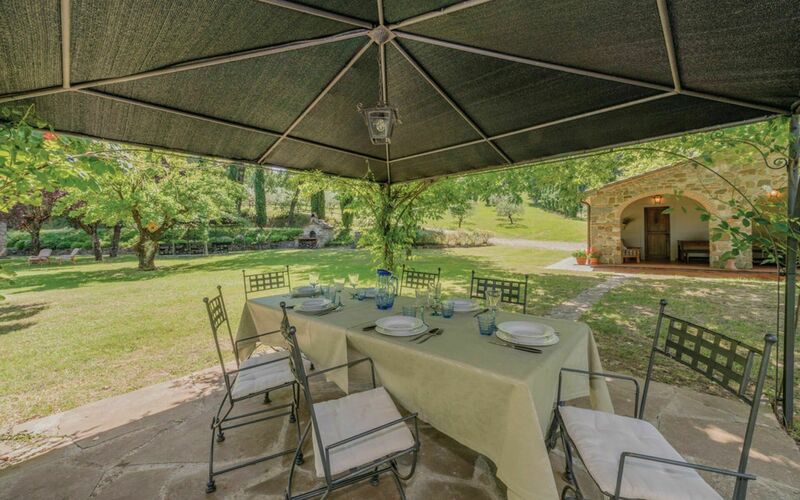 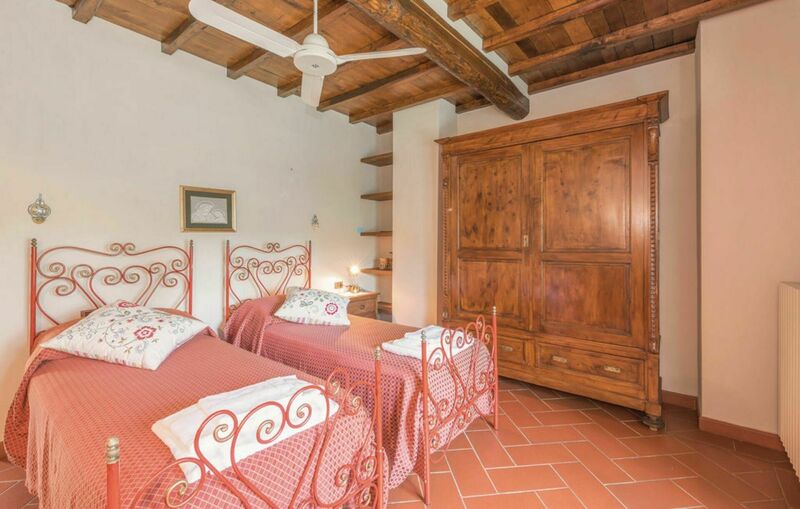 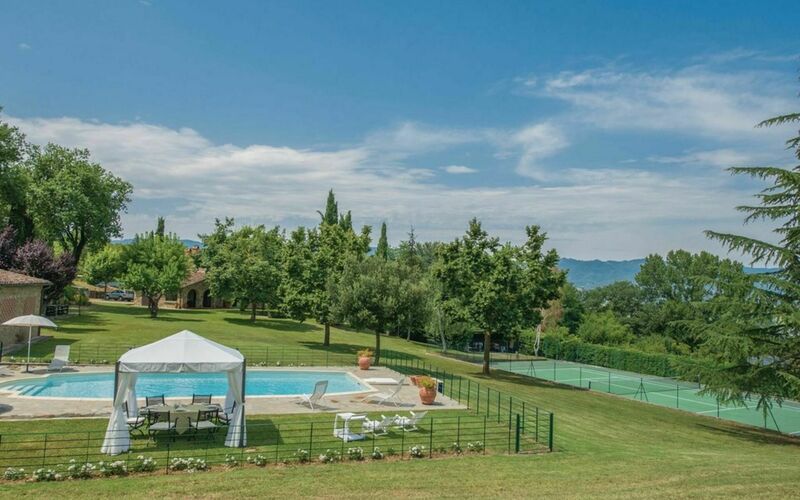 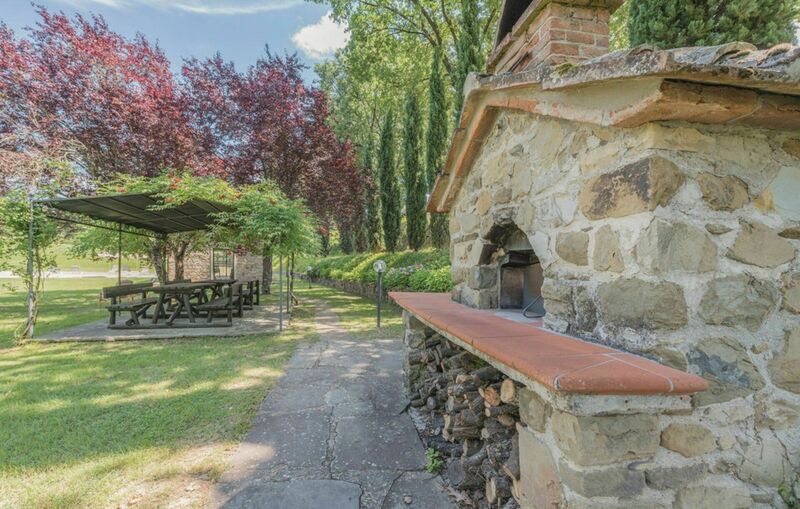 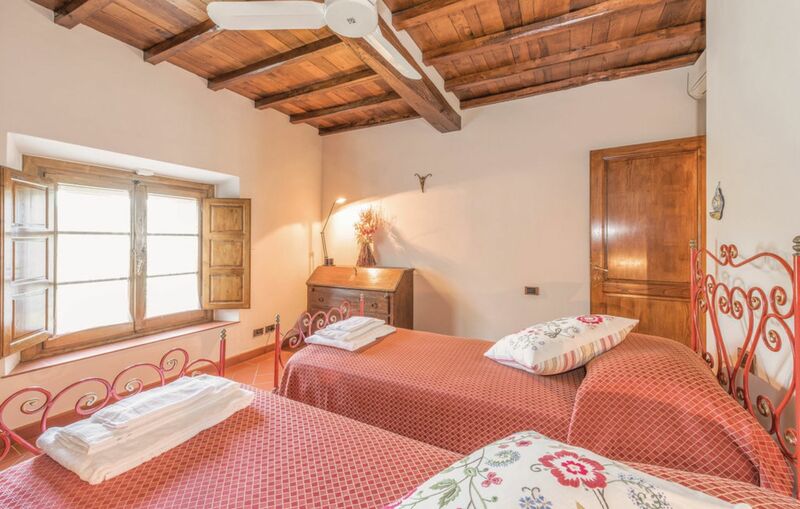 Ex tastefully renovated barn situated in panoramic position on the lower slopes of Mugellane hills between the town of Borgo San Lorenzo and Vicchio, a few kilometers from Florence. 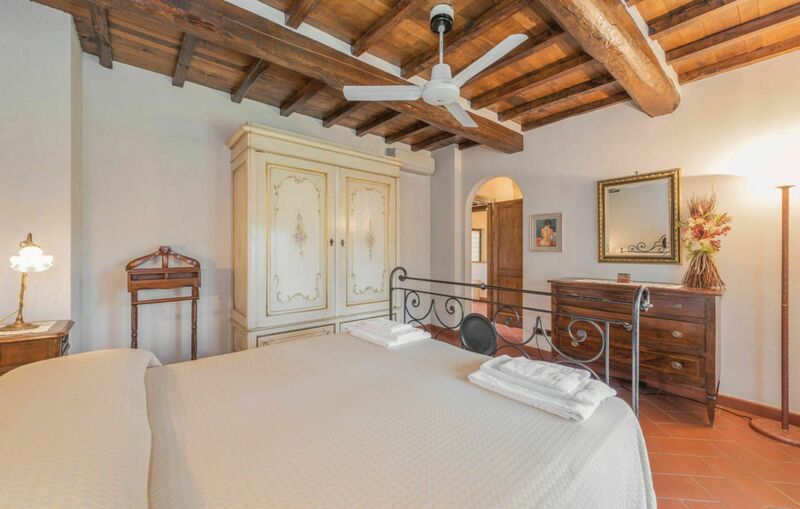 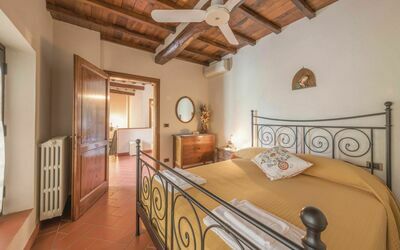 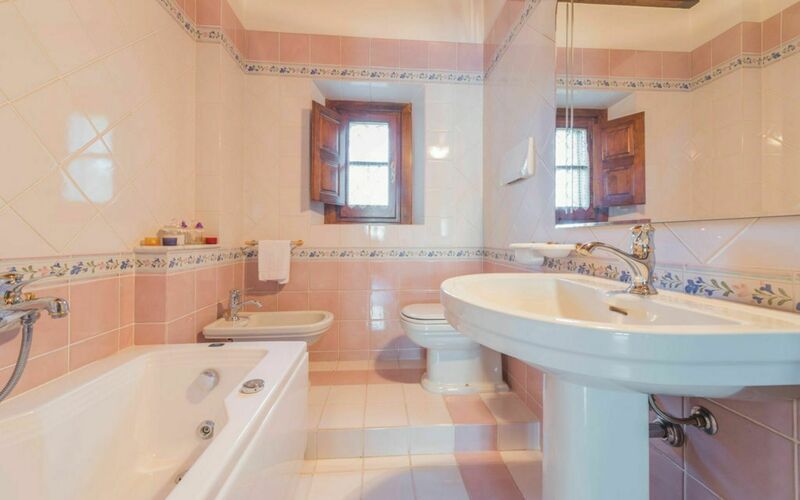 The property offers a very nice and comfortable furnishings, with antique pieces. 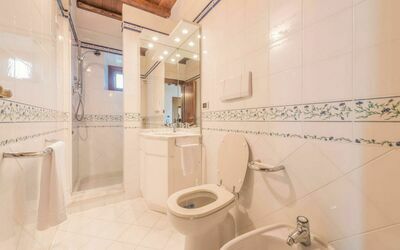 Air conditioning on the first floor. 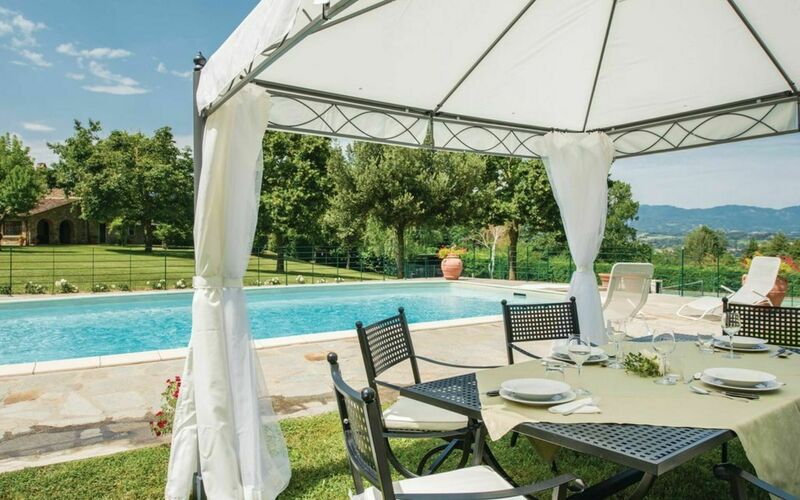 Surrounding the house there is a large garden of over 5,000 square meters fully fenced and equipped with private, fenced and heated swimming pool for guests (12m. 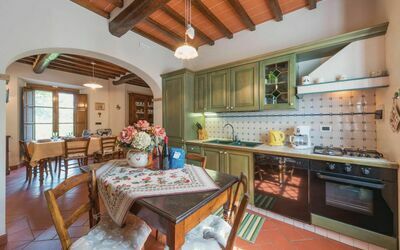 x 6m. prof. 125 / 200cm.). The property also has outdoor spaces (two gazebos) for outdoor dining (barbecue and pizza oven). Private tennis court with full use of guests (rackets available). Wi-Fi free. Private parking in the property. 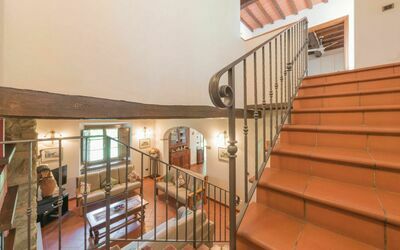 The house is located 3km. from "Vicchio" (birthplace of Giotto and Fra Angelico), 35km. 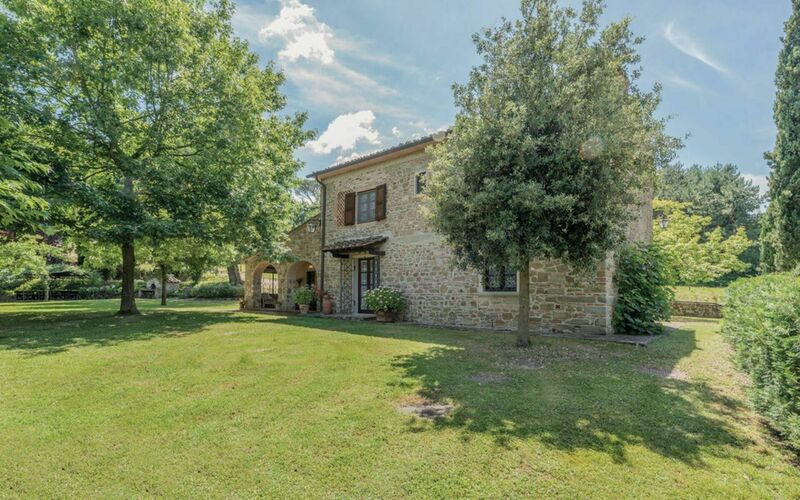 from "Florence", at 23km. from the "Barberino Designer Outlet" (over 100 stores of major brands of Italian and international fashion) and Lake "Bilancino" (canoeing, sailing, windsurfing), at 12km. 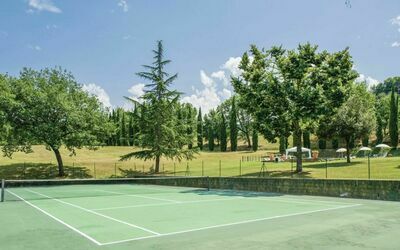 the "Poggio dei Medici Golf Club", 7km. riding stables. 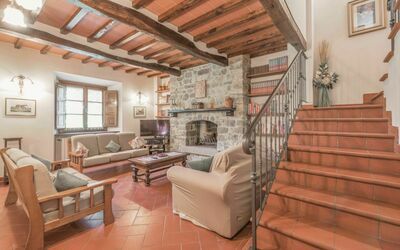 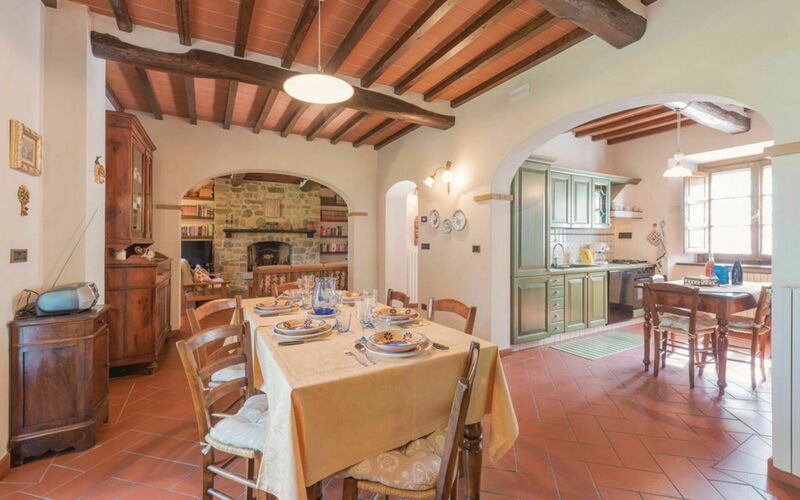 Beautiful farmhouse restored with style of approximately 190sqm. 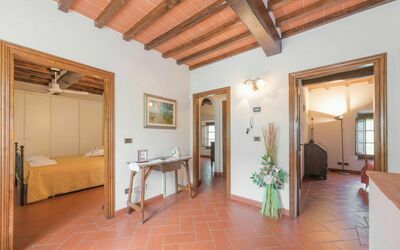 On the ground floor: entrance hall; kitchen with four burner stove, oven, wood oven, microwave, refrigerator, freezer, dishwasher; dining room; living room with fireplace, satellite TV and double sofa bed; pretty equipped loggia for outdoor dining; 1 bathroom with shower (toilet / bidet); laundry room.